We continue this week with another blog on narration. In this post I try to answer such questions as, is narration a fad; what are basic guidelines for narrations; what about preschool children; and what can parents do with preschool children? I hope these are helpful and provide ideas for you to think about and maybe even discuss in your Mason study groups. 4. Is narration just a Charlotte Mason fad or trend? Narration, the art of telling back as a means of knowing was not invented by Mason, but has been around for thousands of years in the oral tradition. Prior to the prevalence of print with the invention of the printing press in 1400s, the oral tradition of narration or telling back was the tool used to convey knowledge and information to the next generation. We need not consider the oral tradition as less substantial or a lower skill set because it is an ancient tradition. Albert Lord (1964) tells us that “We realise that what is called oral tradition is as intricate and meaningful an art form as its derivative ‘literary tradition.’ In the extended sense of the word, oral tradition is as ‘literary’ as literary tradition. It is not simply a less polished, more haphazard, or cruder second cousin twice removed to literature. By the time the written techniques come onto the stage, the art forms have been long set and are already highly developed and ancient” (p. 141). I have often wondered if those of us living in this culture of books and Internet have forfeited something in our dependence on printed and digital texts in that we don’t know how to use our memory to its fullest capacity and how this text dependence affects our living, making choices and decisions when texts are not immediately available to us. We also see that according to Lord that the forms of narration were diverse. These forms of narration led to various literature genres that are still used today in our literate society. 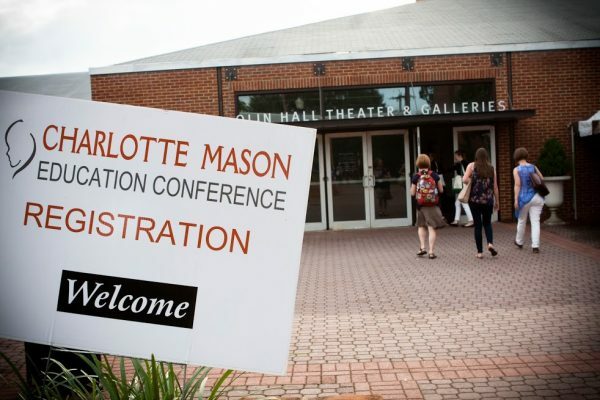 So narration is not a new kid on the block but as a means to know, it has been around for thousands of years and thankfully, Mason had the wisdom to see its value and reclaim it for education. 5. What are guidelines for narration? a. Narrate living books and avoid textbooks and dry, facts oriented texts.Those texts are not narratable and lack the vitality to naturally engage, delight and inspire children. Mason makes it clear that children will naturally engage with the well written narrative, the literary form, the story. It is the power of story, not facts, that activates in a unique way the different capacities of a child’s minds. As the child inhabits the story and it lives in her imagination, her learning is deeper and richer. Children require story, especially below the age of 14. This is non negotiable because the story naturally engages children and without that engagement there is no knowing. b. Allow only one reading and one narration. Children read or are read a passage only once and it is narrated only once. The child never has the expectation of having a second chance of rereading or renarrating as this dissipates attention. Some practical things that help students attend are removal of distractions (no TVs, interrupting pets, other children occupied, etc.) and readying the body by getting in their “attending posture.” Readying the body may seem unimportant, but since we are whole beings and not just a Platonic spiritual being, our physical body is important in learning. Narration is not memorising. Memorising dissipates attention. Although attention is not intelligence, attention is imperative for learning. c. Select portions that a child can successfully narrate, even if it is just a very short paragraph and gradually increase the length. Remove any obstacles before reading that would interfere with the child staying engaged with the story. That is don’t do an extensive review of every vocabulary and unknown point, but rather a review of some difficult vocabulary or geography setting or anything else that would help the student understand the story in its flow. e. Select books appropriate to the child’s developmental and interest levels that engage the child because if children are not engaged with a text, they don’t narrate well. For beginners with narration, books that are too hard or uninteresting can be a turn off to a child and should be put on the shelf until later. Dr. Jen Spencer tells the story of doing just that with a class reading one of her favorites, Little Women. After reading several chapters and having anemic narrations, she decided this book just wasn’t connecting to her 5th/6th class of mostly boys. f. Teachers, parents or children should not interrupt during a narration. After the narration is completed by one child, others can add additional information. However, in a large class of students I would be inclined to pair narrate. If one student narrates in a large class, the others do not have to and that means they have not done the act of knowing. Then only allow one or two additions or corrections. If a child is narrating incorrectly, politely stop the child and allow another to pick it up. Even in pair narrating, one child should not do all the narrating. During each narration I always switch who is narrating so that all students are on their Ps and Qs. g. Teachers and parents should not ask their questions at the end of a reading selection. When children have read and narrated a selection from a story, they have their own thoughts and when these thoughts are interrupted by the teacher/parent thoughts, children lose the ability to process what they have read or what has been read to them. The adult has interrupted the learning process and has become a hinderance to the child rather than a help. It is the same when you are thinking of something to say or ask and someone interrupts. Frequently, we forget what we were thinking about because of the interruptions. h. The narration can be followed by a “grand conversation.” That is, questions the children have about what was read, are discussed. When a major point has been missed by the students, the teacher might say, “I wonder about such and such. . . .” But this type of question is to get children thinking about an idea they might have missed not to force a discussion. The children will read, over the course of 12 years, so many books with wonderful ideas, that most ideas will come around at least a second time if not more. h. Before beginning a new book or a new reading selection, make sure you have built the prior knowledge or background knowledge the child needs to understand the story. This might include looking for difficult words, identifying the geographical context, showing the young child a picture of clothing, tools or other objects that they may not know. These should be shown before the reading not during the reading. During the reading children use their own minds to visualise the story as they inhabit it. They must do the labour of the mind in order to own the new learning. i. Children before the age of 6 simply tell or narrate life experiences; they do not narrate from books. If you have a verbal child that shows signs of wanting to narrate a passage, then they should narrate. But the child is showing you that they are ready to narrate and not you pushing the child to narrate. j. For the child beginning her school education oral narration is the predominate way to narrate. Even at examination time children this age and older need to have an adult scribe for them as they narrate orally. Until about 4th grade some children will need a scribe. Others, particularly girls, can write their narrations sooner, but don’t rush your children. 6. What are the Guidelines for the Preschool Child? Children under the age of 6 should have lots of opportunities to observe real things and recount them. Their narrations are informal, a recounting, and are the child’s expressive language. Early oracy, a child’s expressive language, cannot be emphasized too much, as it is the foundation for so much of their future language development. Mason called narration the ground plan of a child’s education. She says, “Bobbie will come home with a heroic narrative of a fight he has seen between ‘Duke’ and a dog in the street. It is wonderful! He has seen everything, and he tells everything with splendid vigour in the true epic vein; but so ingrained is our contempt for children that we see nothing in this but Bobbie’s foolish childish way! Whereas here, if we have eyes to see and grace to build, is the ground-plan of his education.” For children’s language development, expressive oral language is critical, because what a child can express, she owns, she knows. As the child expresses, she is developing vocabulary, sentence structure, and all the things needed for reading. Researchers within the past 15 years have documented this ground-plan by finding that the expressive oral language of a child as young as 4 or 5 can actually predict how well he or she will read by 4th or 5th grade [see Wise (2007), et al; Cooper, et al (2002); and Olofsson, et al (19990]. Researchers are continually supporting Mason’s methods so we can see that narration isn’t a sweet little thing that a sweet little Victorian lady from the 1800s wanted all the sweet little Victorian children to do. It is much more serious than that. 7. What are some practical things parents can do with young children? I believe early recounting by children of daily experiences to be critical for young children. There are several things that parents can do to help develop narration skills or recounting skills in young children. These have to do with developing the child’s natural abilities or those powers of mind that are latent within the child – that “ground plan” of his education. Don’t get sidetracked into teaching reading and other skills. Parents mistakenly think that if they teach their child to read at 4, count to 1000 and memorise all the state capitols that he will be smarter and “ahead of the game.” Remember education isn’t about being ahead of the game–it is about knowing in a way that produces deep and lifelong relationships for children and be assured that this kind of knowing really does make for life-long learners. Be outside as much as possible so children can observe and tell about what they find in nature. Enjoy nature walks with children where there is time to stop and really “see” nature. The walk may be in your yard, observing the tree near the curb, or examining a pebble. These experiences are developing the powers of the child to observe, to wonder, to imagine. Choose a plant or insect and look at it under a magnifying glass. Look at a flower and see every little piece of it, talk about the shapes in it, smells from it, colours, and so on. This use of language (again expressive language) is important for children’s language development. The more words they know (and we know they know the words because they use them in context) and can use these words organically (different contexts and in different conversations) is an indicator of their ability to read later on. It is just logical when you think about it. If a young child already knows a word through being in nature, playing with a friend or being at a museum, or other life experiences then learning that word in print becomes much easier. Multiple things are going on when a child is verbalising these experiences as Mason mentioned with “Bobby” telling about duke in the street. New vocabulary, new words, new sounds, new understandings about the world — all of these increase a child’s ability to read and narrate later. Young children need a variety of books. As a school principal, I think I must have said the following simple words thousands of times, “Read to your children.” You can even start before they are born! Read to your children not just minutes a day but for hours a day. Combine reading with play, visit museums, visit grandmother on the farm and the list can go on and on. In the middle of busy schedules, take time to sit down, slow down and read. Cuddle together, the whole family, and you too dad. Have family read-alouds together that don’t stop when children learn to read. Read together until they go off to their own homes. Next post we will discuss how to transition a 6 year old into the habit of narrating, how to transition an older student into the Mason paradigm, how to transition from oral narrations to written narrations and other issues. Cooper, P.H., Roth, F.P., Speece, D.L., & Schatschneider, C. (2002). The Contribution of Oral Language Skills to the Development of Phonological Awareness. Applied Psycholinguistics, 23, 399-416. Lord, A. B. (1964). The singer of tales. Cambridge, Massachusetts: Harvard University Press. Olofsson, A. & Niedersøe J. (1999). Early Language Development and Kindergarten Phonological Awareness as Predictors of Reading Problems: From 3 to 11 Years of Age. Journal of Learning Disabilities 32, 464-472. Wise, J., Sevcik R., Morris, R., Lovett, M. & Wolf, M. (2007). The Relationship Among Receptive and Expressive Vocabulary, Listening Comprehension, Pre-Reading Skills, Word Identification Skills, and Reading Comprehension by Children with Reading Disabilities. Journal of Speech, Language, and Hearing Research, 50, 1093-1109.